Torrid Debuts It’s Spring 2018 Plus Size Collection At NYFW, Was It The Right Move? This New York fashion week, plus size retailer Torrid debut their spring 2018 collection. It was a surprise to see the brand at NYFW. They’ve been around for years and have pretty much kept their events and fashion shows in California. The retailer made a courageous move by showing at NYFW. It’s one, i’m quite sure they’re hoping will pay off. New York fashion Week is trying to become more size inclusive. Designers like Christian Siriano, Prabal Gurung, and Michael Kors have been including larger models within the past year or so. However, one of the main things that we don’t see at NYFW is many plus size designers or retailers showing their collections. So, when a plus size brand decides to show at NYFW I am here for it. Although I was excited to attend the Torrid show, I was a little disappointed to barely see any plus size bloggers in the front row. I also was disappointed to see bloggers who don’t write about plus size fashion sit in the front row. I thought it was a bit weird. Before entering the show, attendees were separated into two sections. There was a section for those who had standing room only tickets and then a section for those who had a seat assignment. This is nothing new. I’ve been attending fashion week since 2009, so I am very familiar with the arrangement. Attendees waited outside the show for about 20 minutes before we were directed where to go. My seating assignment was standing only. I can’t lie, I was a bit disappointed, since I am one of very few fashion sites that actually writes about plus size designers and retailers. However, no biggie. When I walked in and was getting ready to choose my prime standing spot, I looked around and noticed there were very few plus size bloggers in the front row. I would think that you would place bloggers who you know will write about the show in the front row. Instead I saw a few celebrities, Instagram models, and surprisingly fashion bloggers who don’t cover plus size fashion sitting front row at a plus size fashion show. Hmmm. Even Amanda Mull from Racked.com noticed this. She saw fashion influencer Danielle Bernstein from We Wore What in the front row. I’m quite sure Torrid spent a pretty penny to put on this show, you would think that the front row would have a diverse seating arrangement of plus size bloggers, plus size celebrities, and traditional media. You know, like other fashion shows at NYFW. While many of you may be thinking who cares who was in the front row, well it does matter. Its the readers and followers of plus size bloggers who will be the one to buy the clothes. They are also the ones who will be going to the blogs to get the details they need for Torrid’s collection. So, it is important that they should be there. Most of the people who were in that front row will not write one word about the Torrid show. They will just be posting photos that they were at another fashion show. 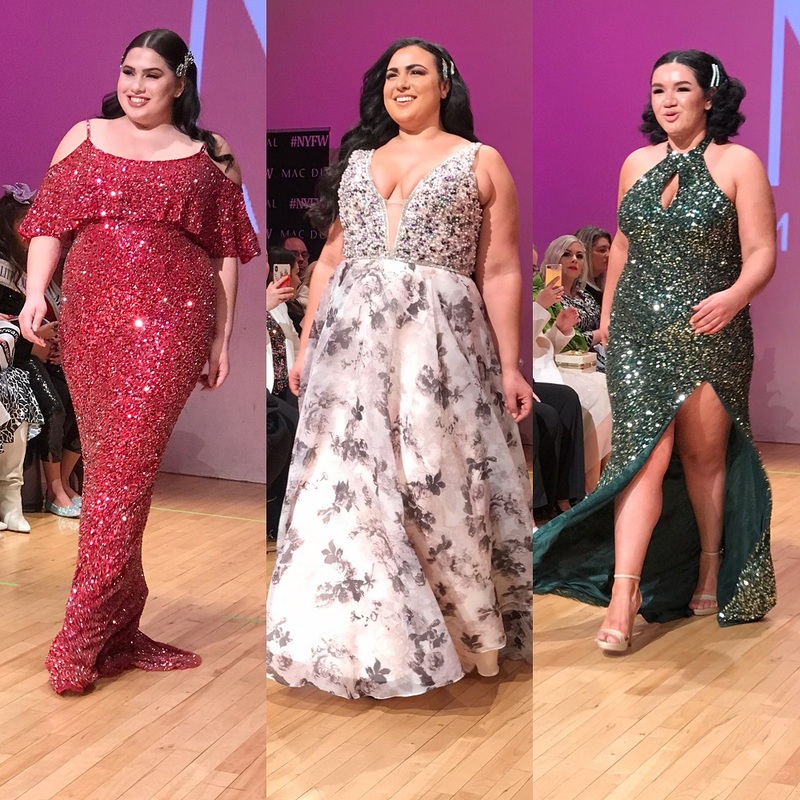 While I may have had some issues about the guest list, checkout what we saw come down the runway for Torrid’s first New York Fashion Week show. In addition to the spring collection, Torrid featured the top 10 finalists from their third annual model search. Torrid is also one of very few plus size brands that go up to a size 30 in all their styles. Some of the coolest looks that came down the runway were a black hand painted graffiti moto jacket and a jean jacket with lace corset detailing on the back. I read this article and found it very interesting, thought it might be something for you. The article is called Torrid Debuts It’s Spring 2018 Plus Size Collection At NYFW, Was It The Right Move? 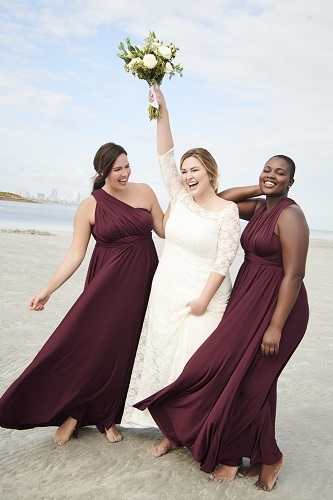 and is located at https://stylishcurves.com/torrid-debuts-spring-2018-plus-size-collection-new-york-fashion-week/.